Our Sport students have organised and officiated the Disability Sport Yorkshire national under-19s Boccia tournament in partnership with governing body, Boccia England. 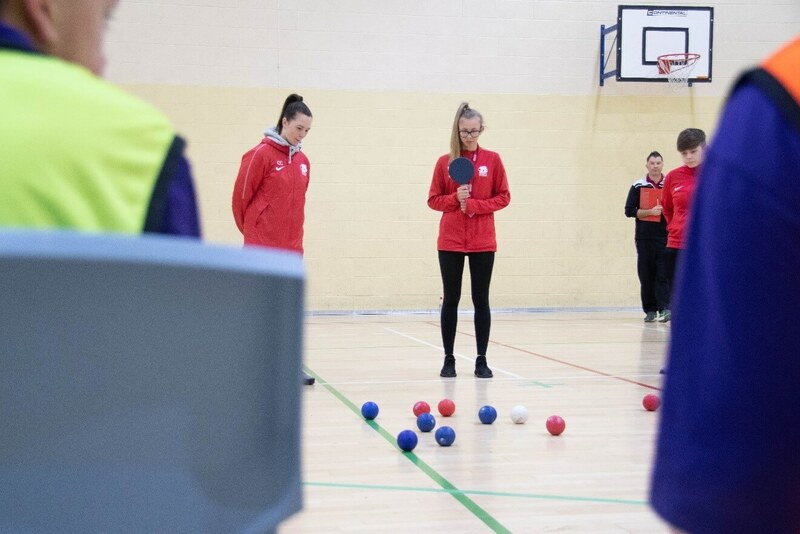 Students completed the Boccia Young Officials Award, is a nationally recognised qualification and the first step on the Boccia officiating ladder. The competition provided students the opportunity to work with young disabled people and provided invaluable hands-on experience of being involved in a sporting event. Boccia is a precision ball sport played indoors with soft leather balls that tests muscle control and accuracy. Pupils from Bradford; Oakfield Park School; Greenacre Academy; Outwood Academy and Danum visited the College to take part in the South Yorkshire qualifier for the Yorkshire Regional Final which will be held in March.